Always great service consistent over the years. You have the best people working for Rob'e Mans. Excellent service.. Very professional. Sincerely care about you and the quality of their service. Schedule your service in advance! Call us to set up an appointment or fill out an appointment form under the Appointments tab. For your convenience, you can use our Early Bird/Night Drop Box located next to our main office. Please see form under Appointment Tab. Avoid the Dealer! We can perform any service or maintenance on your new vehicle while keeping your warranty valid. Original factory warranty and recalls do not apply. Dependable. Convenient. Maintenance Made Easy. Rob'e Mans has the ability to text or email you a complete vehicle inspection with pictures included. As a family owned and operated business, we have been servicing Homewood and the surrounding community for 35 years. 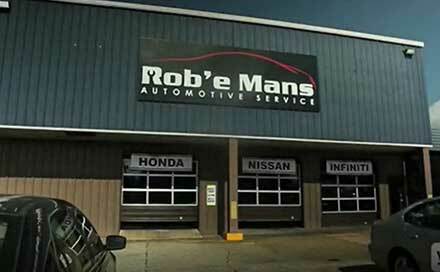 Rob'e Mans Automotive Service takes great personal pride in delivering a higher level of quality service. Our philosophy is simple. We concentrate all our talents and attention on one thing and one thing only: Honda, Acura, Toyota, Lexus, Nissan, Infiniti, Hyundai and Subaru vehicles, including the hybrids. We can perform anything from oil changes to major repairs. Need a reliable place to have your vehicle serviced while maintaining its warranty? Did you know that you do not have to visit a dealership to preserve your new car’s factory warranty? Rob'e Mans Automotive Service can perform all of your factory scheduled maintenance ensuring your warranty remains intact. Rob’e Mans offers 24 months/24,000 mile warranty on work performed by Rob'e Mans Automotive Service, double the industry standard warranty. Rob'e Mans Automotive Service also offers free Wifi and free coffee from our coffee bar while you wait for your vehicle. If waiting for your vehicle is not an option, take advantage of our free shuttle service within the local area. 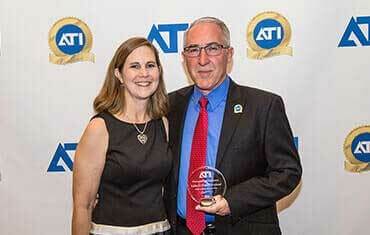 Rob’e Mans is deeply honored to have won both the Automotive Training Institute’s (ATI’s) 2018 Top Shop Award, as well as the Humanitarian of the Year Award. Please see our Community Service page for more information on how Rob’e Mans gives back. 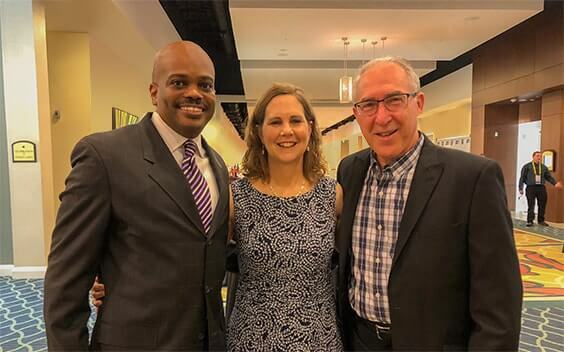 In 2018, Rob’e Mans celebrated its 35th Anniversary, which also marks the 8th year in a row that Rob’e Mans has been nominated for ATI’s Top Shop Award, and the 5th year Rob’e Mans has been recognized with a humanitarian award. 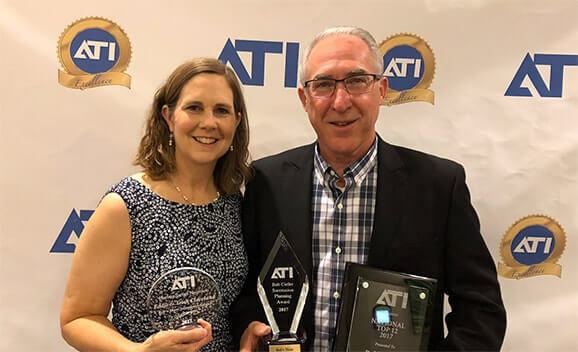 3 Awards At ATI's Super Conference 2018! 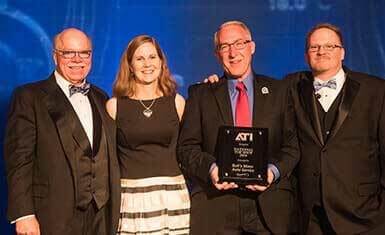 Rob’e Mans is honored to have won the 2016 Top Shop Award by the Automotive Training Institute (ATI) and also be named as one of the ATI’s Top 5 shops recognized for their humanitarian efforts! The Top Shop award is given annually by ATI after reviewing over 1,500 of the best independent shops across North America and Canada, and it is the highest automotive award given nationwide. 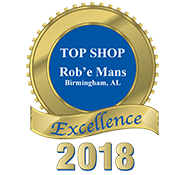 Receiving this award means that Rob’e Mans has been recognized for excellence in business performance, community involvement and advanced professionalism in the automotive industry. Rob’e Mans is also among the Top 5 shops in North America and Canada celebrated for its involvement in humanitarian efforts such as projects, community outreach, both at the state and global level.